As a pioneer of British conceptual art, John Latham (1921-2006) has exerted a powerful and lasting influence, not only on his peers but on generations of younger artists. In spring 2017, the Serpentine hosted an exhibition that encompassed all strands of Latham’s extraordinary practice, including sculpture, installation, painting, film, land art, engineering, found-object assemblage, performance and the artist’s theoretical writings. Central to the world view that Latham spent a lifetime developing, was his proposed shift towards a time-based cosmology of events away from a space-based framework of objects. In Latham’s eyes, ‘flat time’ expands across and beyond individual disciplines, aligning social, economic, political, psychological and aesthetic structures. He saw the artist as holding up a mirror to society: an individual whose dissent from the norm could lead to a profound reconfiguration of reality as we know it. Since he started exhibiting in the late 1940s, Latham has been associated with several national and international artistic movements, including the first phase of conceptual art in the 1960s. He was an important contributor to the Destruction in Art Symposium of 1966, and also a co-founding member of the Artist Placement Group APG (1966-89), along with Barbara Steveni, Jeffrey Shaw, David Hall, Anna Ridley and Barry Flanagan, an initiative that was to expand the reach of art and artists into wider society through organisations of all kinds, at all levels and on a basis equivalent to any other specialist. Adopting a holistic approach, the Serpentine exhibition spanned Latham’s career to include the artist’s iconic spray and roller paintings; his one-second drawings; films such as Erth (1971) and Latham’s monumental work, Five Sisters (1976) from his Scottish Office placement with APG. Over the course of the exhibition, Flat Time House, John Latham’s studio home in Peckham, south London, opened to the public, hosting a programme of workshops and events. In 2003, Latham declared Flat Time House a living sculpture. Since 2008, it has been a gallery, residency space and centre for experimental events and research into Flat Time. It is also home to the John Latham archive. For more information click here. On 13 May 2017, Flat Time House Curator/Director Gareth Bell-Jones led a tour of the exhibition, A World View: John Latham. John Latham was born in Livingstone, Northern Rhodesia (now Maramba, Zambia) in 1921. After serving in the Royal Navy, he enrolled at Regent Street Polytechnic and then studied painting at Chelsea College of Art and Design (1947–51). Solo exhibitions include Henry Moore Institute, Leeds, UK (2016); Triennale di Milano, Milan, Italy (2014); Whitechapel Art Gallery, London, UK (2010); P.S.1 Contemporary Art Center, New York City, USA (2006); Tate Britain, London, UK (2005, 1976); Mattress Factory, Pittsburg, USA (1996); MoMA Oxford, UK (1992); Staatsgalerie, Stuttgart, Germany (1991); Société des Expositions du Palais des Beaux-Arts, Brussels, Belgium (1984); and Städtische Kunsthalle, Düsseldorf, Germany (1975). Multiple shows in the Lisson Gallery. His work was shown in many group exhibitions including Documenta 6, Kassel, Germany (1977) and the 51st Venice Biennale, Venice Italy (2005). His work is held in collections worldwide, including Tate Collection and MoMA. 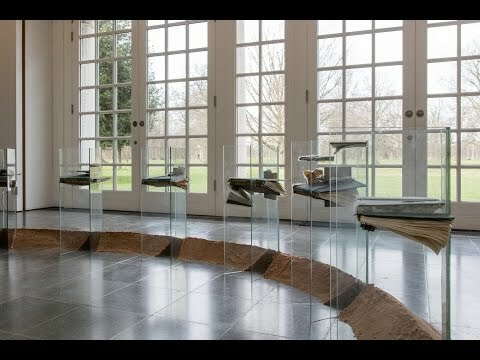 Speak, at the Serpentine Sackler Gallery, brought together four artists – Tania Bruguera, Douglas Gordon, Laure Prouvost, Cally Spooner – and coincided with the Serpentine Gallery’s survey of the late British conceptual artist John Latham.